Close up of tasty coffee served in white cups, one with flower shape made of foam with sugar stickers and silver spoons on little fansy plates. Hands of man, latte art. Coffee in paper cup, wood. Latte art flower. 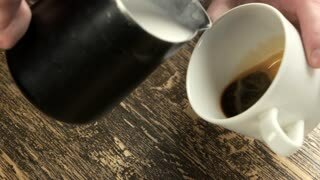 Cup with coffee, top view. 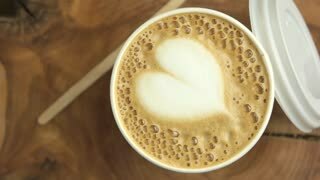 Latte art heart. Coffee cup and lid. 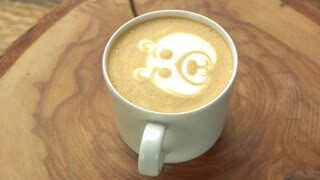 Bear latte art. Coffee cup top view. 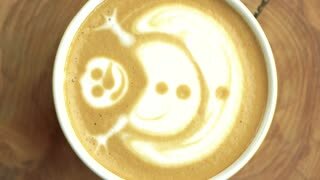 Latte art snowman. Coffee cup, top view. Hands making latte art. Coffee cup on wooden surface. 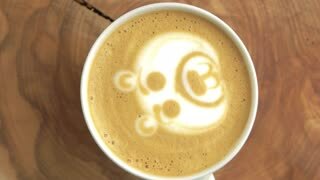 Bear coffee foam art. 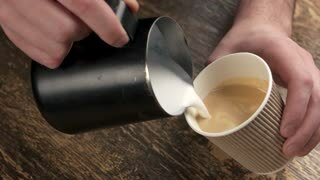 White cup with latte. 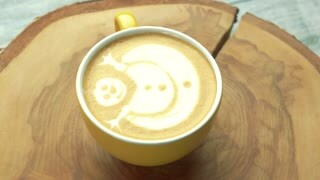 Coffee cup with snowman art. 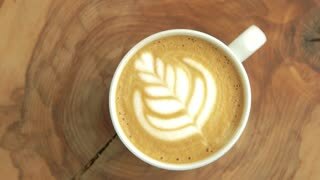 Latte on wooden surface. 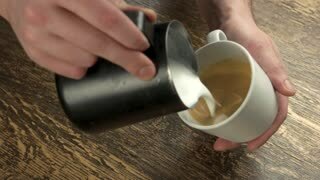 Male hands pour latte art. White coffee mug on wood. From above view of pancakes served in white plate decorated with slices of banana and blueberries with cup of coffee and honey placed near on white background.